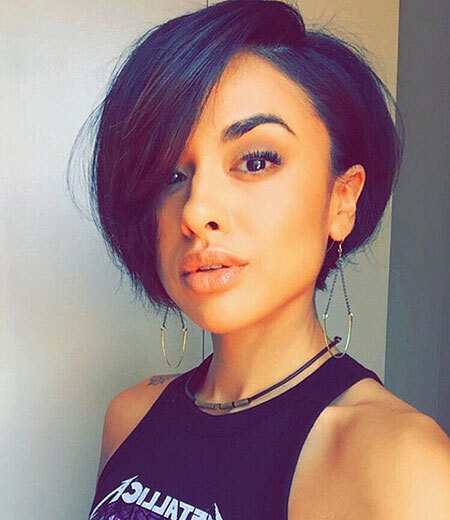 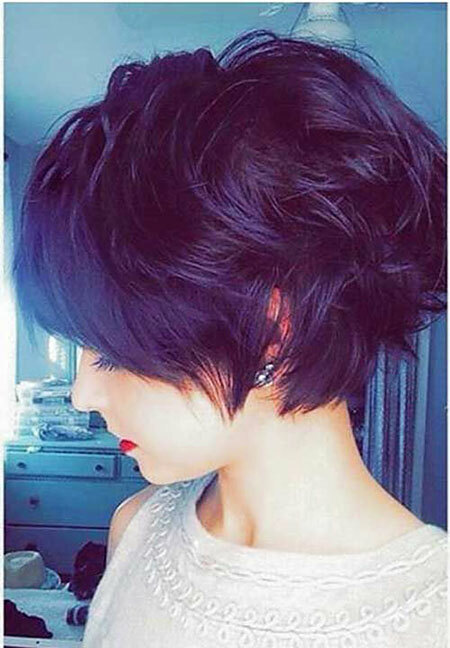 Bob hairstyles and pixie haircuts are generally the main short hairstyles for women, there is another short haircut we call pixie-bob. 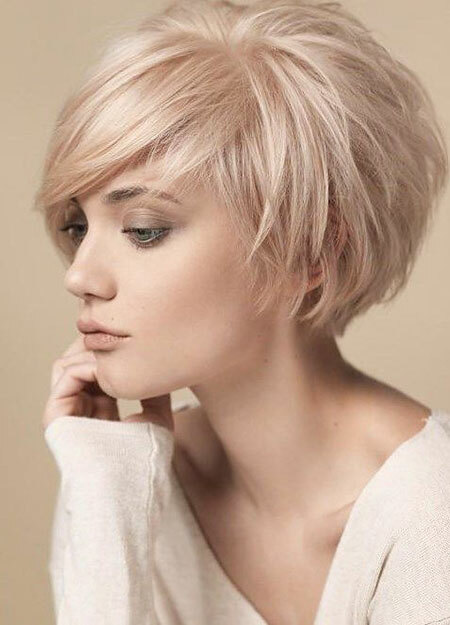 It is not short enough to call pixie but not long enough as a bob haircut. 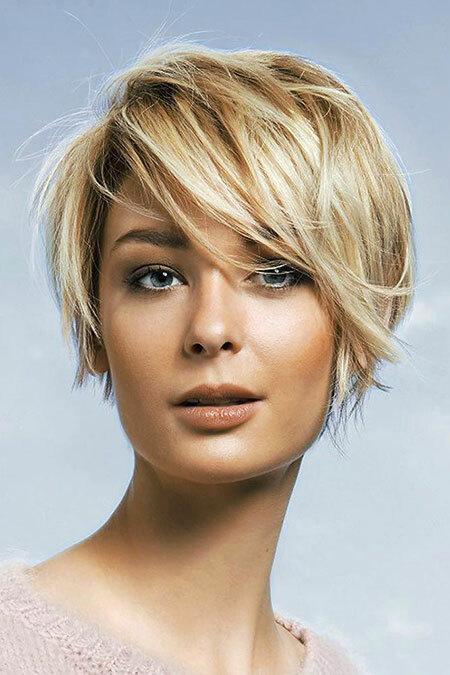 Pixie-bob haircuts are generally suitable for any hair type depending on the haircut and layering. 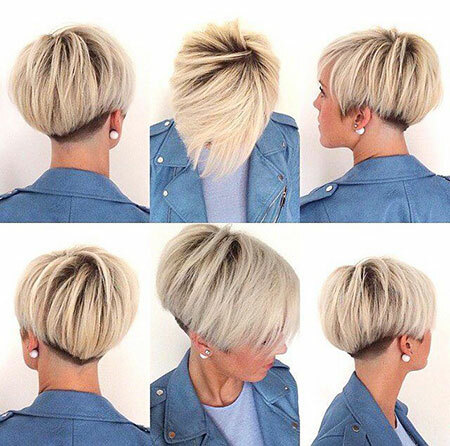 First, we start with a short angled bob hairstyle idea that looks like a bob from the sides and front, longer pixie at the back. 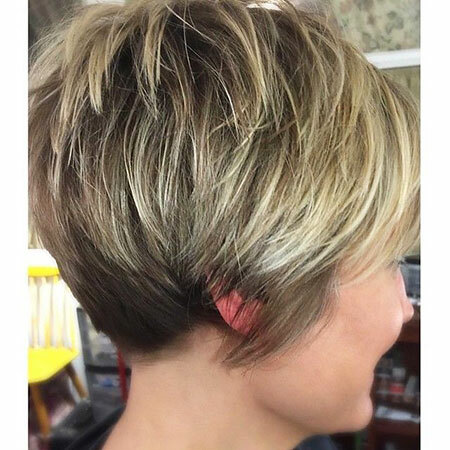 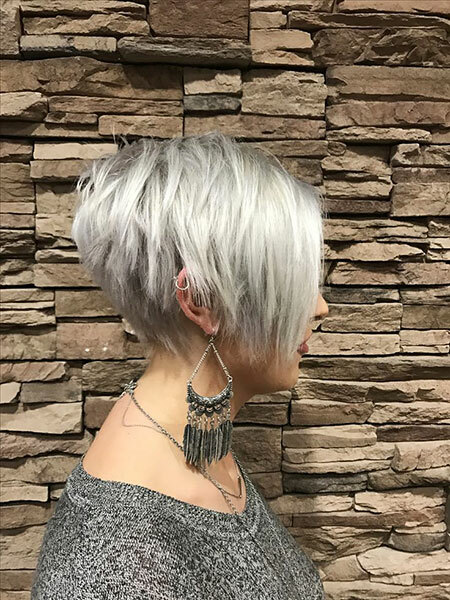 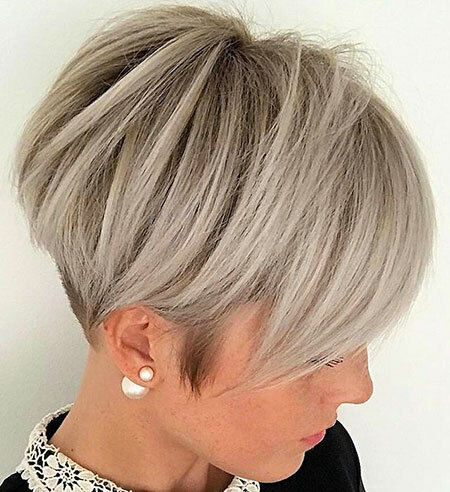 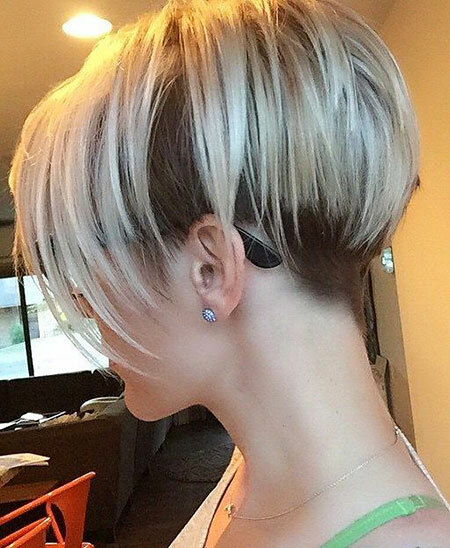 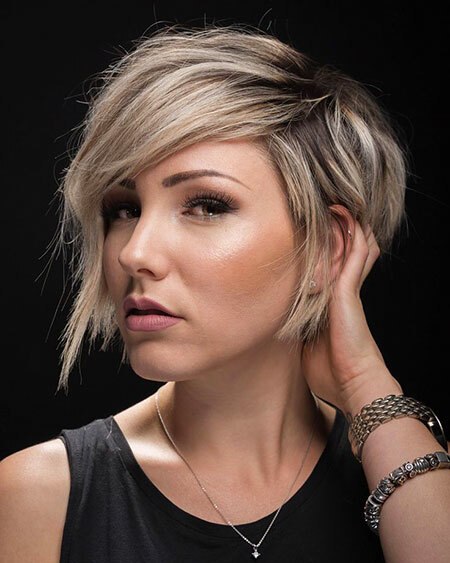 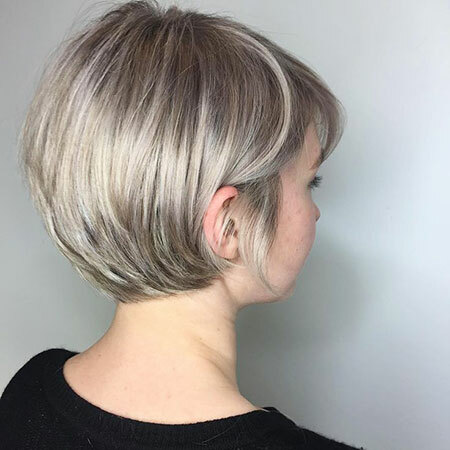 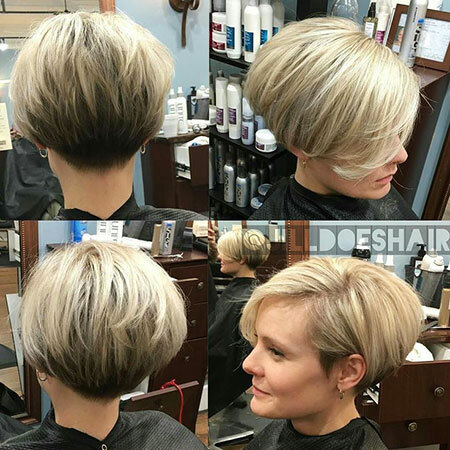 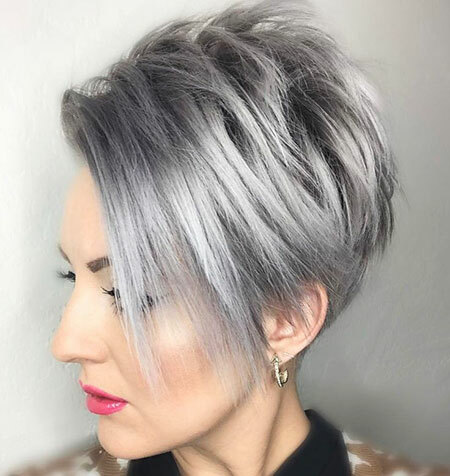 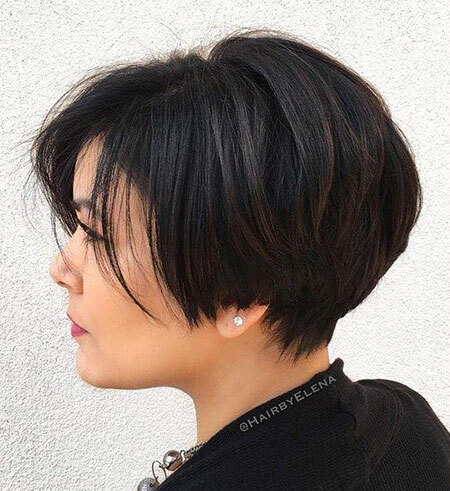 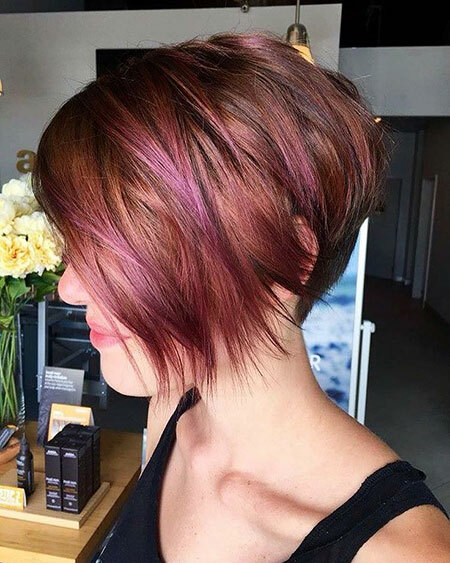 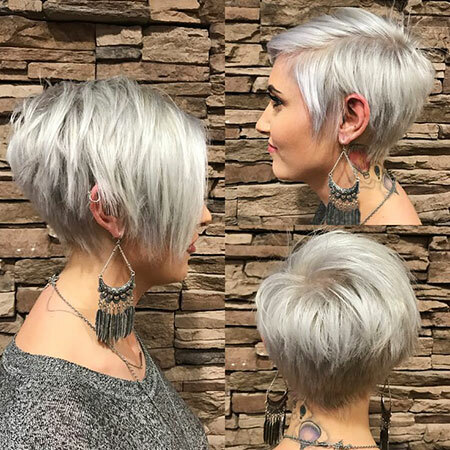 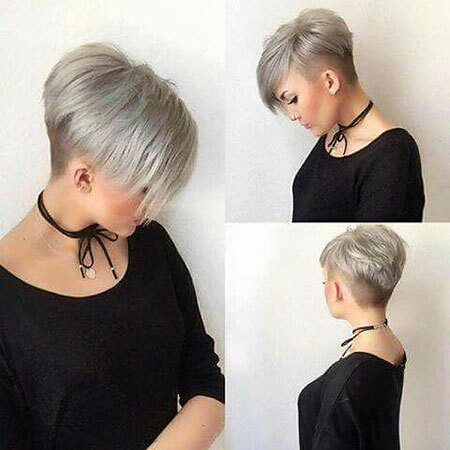 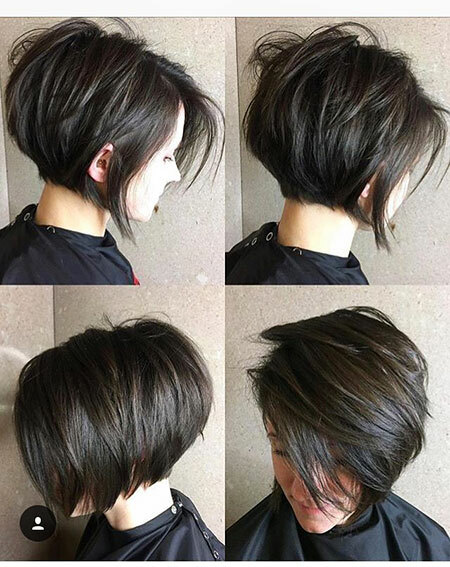 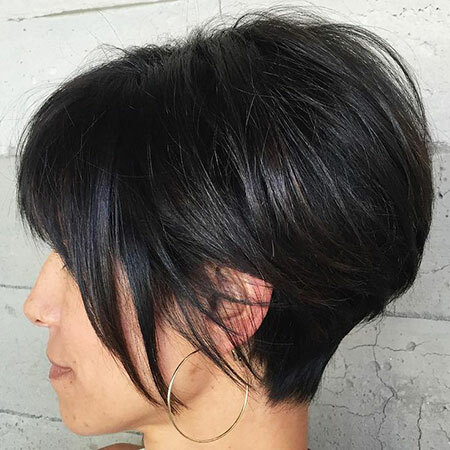 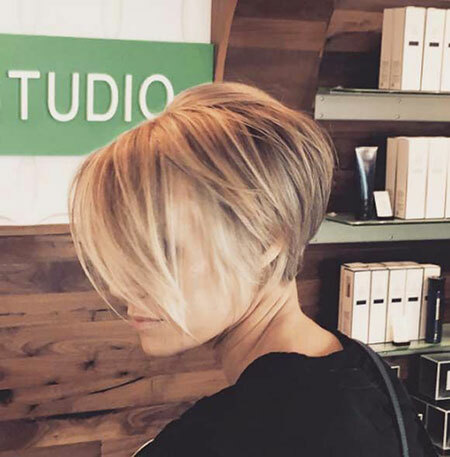 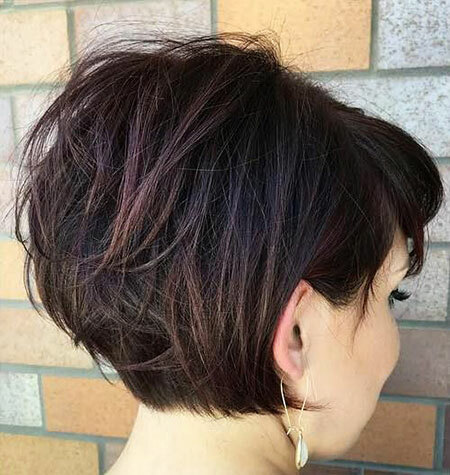 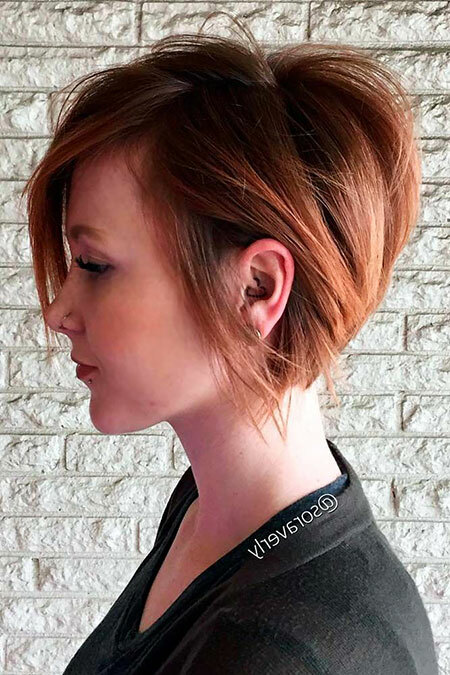 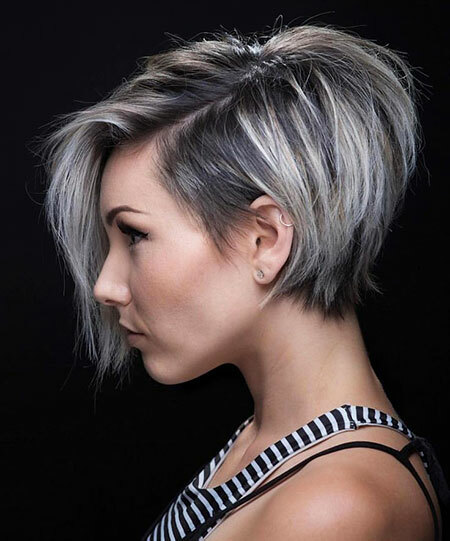 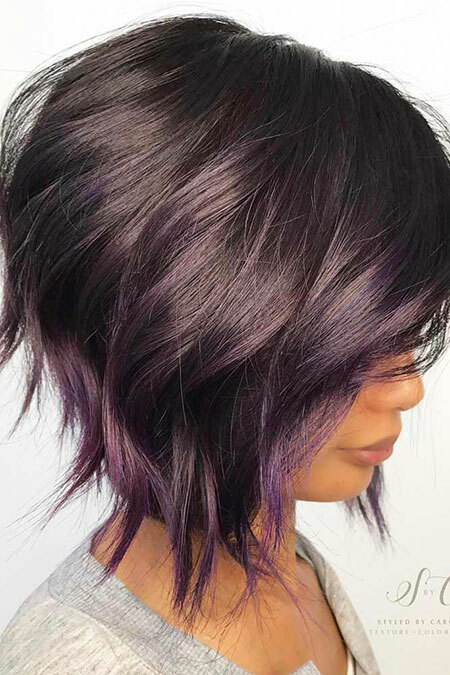 Here is a definitely the best example of a pixie bob haircut, as you can see the layering adds a nice texture and volume. 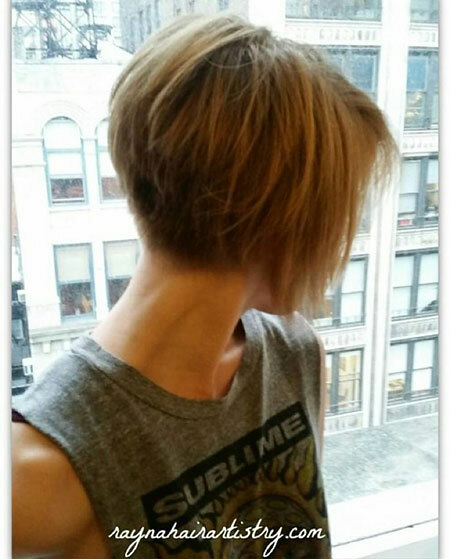 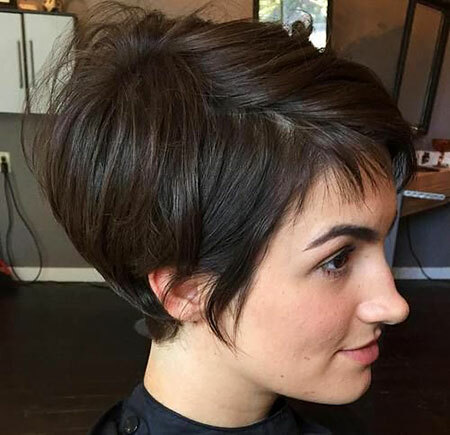 The layering style, hair color, and the angled haircut make this pixie bob look fashion-forward and chic.